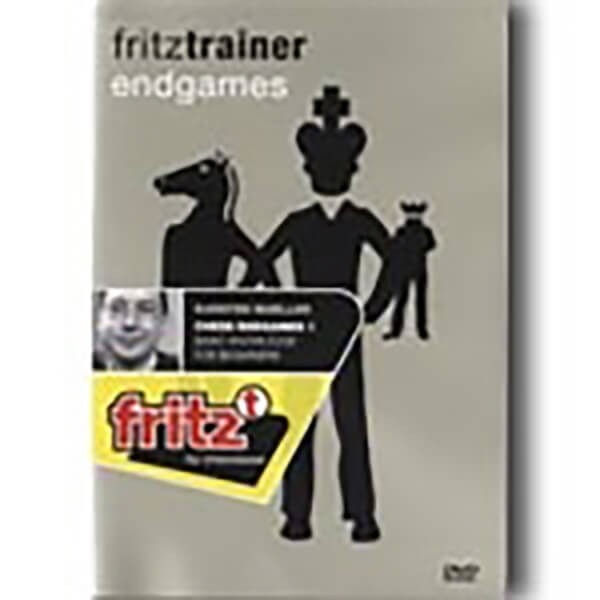 Basic Knowledge for Beginners - Fritz Trainer on DVD Endgame theory constitutes the foundation of chess. You realize this in striking clarity once you obtain a won endgame but in the end have to be content with a draw because of a lack of necessary know-how. Such accidents can only be prevented by building up a solid endgame technique. This is Karsten Mueller's first DVD and the grandmaster and endgame expert from Hamburg here lays the foundation for acquiring such technique. The first part of his training series can be started without any endgame knowledge only knowledge of the rules of chess is assumed. Nevertheless, for a lot of club players this course will be a welcome brush-up as a glance at the contents confirms: The topics range from elementary endings such as mating with the queen, with rook and with two bishops and mating with bishop and knight. The DVD also teaches the fundamentals of pawn endings, knight vs. pawns endings, bishop vs. knight endings, queen vs. pawns endings plus knight and bishop endings, including endings with bishops of the same and of opposite colors. Those who have always felt that studying the endgame from textbooks is to uninspiring and too arduous will enjoy this DVD and certainly profit from it. Video running time: 5.5 hours. Including ChessBase 9.0 Reader. Since 1988 Grandmaster Dr. Karsten Mueller from Hamburg has played for the Hamburger Schachklub. In the Bundesliga in 1996 and 1997, he finished third in the German Championship. As an internationally renowned endgame expert, he is the author of the endgame column in the ChessBase magazine and the regular columnist of the very popular Endgame Corner column at ChessCafe.com. His book Fundamental Chess Endings, co-authored with Frank Lamprecht and published in 2001 by Gambit, is already considered to be a modern classic.